There is only one day to go in the arrival of Salman Khan's Tiger Zinda Hai trailer on the Internet platform. The fans of Bhaijaan are eagerly waiting for the trailer and they are just following every single news related to it. Till now the audience has loved Padmavati's trailer the most and now Tiger Zinda Hai's trailer will be the last of this year so the makers also want to make it the best of this year. 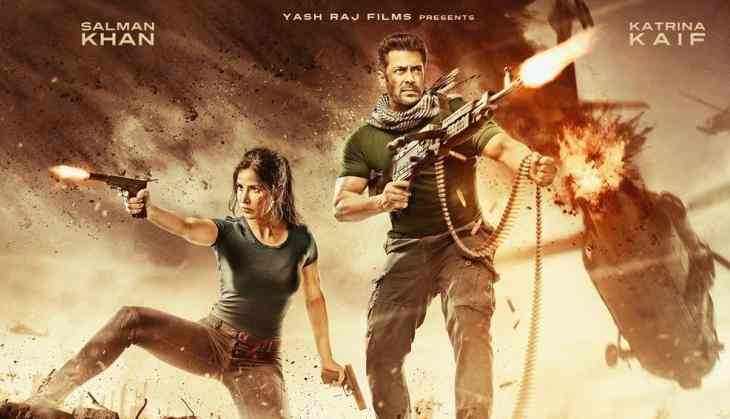 As we have earlier told that the trailer of the much-anticipated film of the year Tiger Zinda Hai starring Salman Khan and Katrina Kaif is coming out on 7th November, so before the release of the trailer, here are five things that we are expecting in this hugely anticipated trailer. The director, Ali Abbas Zafar had already revealed some stills of Salman Khan in action avatar that surely have made a buzz for the trailer and it will be interesting to see him in high octane action drama. Salman Khan has for the first time played a Raw agent in Kabir Khan's film Ek Tha Tiger. The audience loved his rough and tough avatar as a raw agent, so now he is once again coming in the same look so it will be interesting to see will he take it forward or he is just being himself back to the same. Ek Tha Tiger had many nail bitting action scenes and since Ali has revealed some stills of the action scenes, the fans already have said that this is going to be one of the best action films ever in Bollywood. The film Tiger Zinda Hai has been shot at many different locations and in the real locations. If we go by the already released posters of the film, Ali Abbas Zafar has not taken a risk when it comes to making it grand. Ek Tha Tiger was a love story of two agents from two rival countries, but as in the first part they both Tiger and Zoya decide to leave the job, so how Ali Abbas Zafar has taken forward the story it will be interesting. On the other hand, this time Katrina Kaif is also doing many action scenes and it will be interesting to see that this time also she is a Pakistan's agent or India's agent.